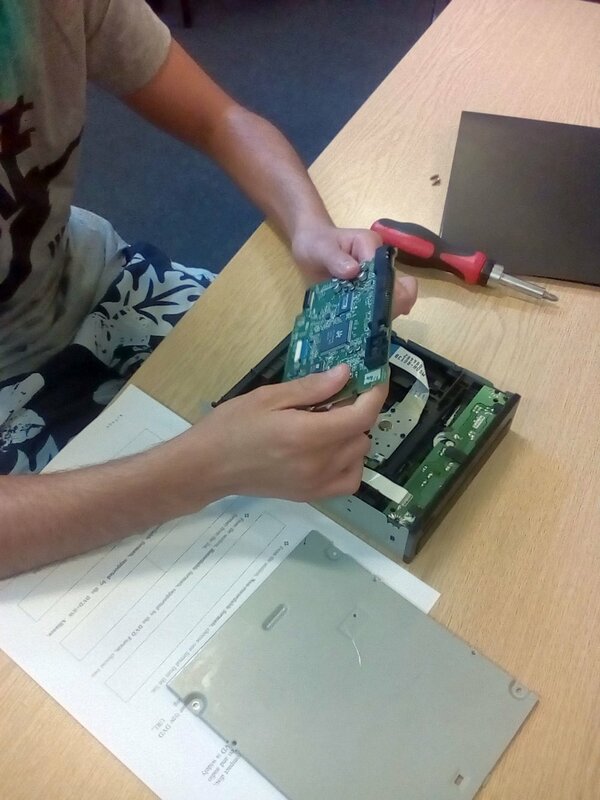 Members of MOWLL studied DVD drives, identified connections, ports, components, interfaces, and installed a DVD card into a PC. This week’s lesson was about the DVD drive of a computer, in which members learnt the basics of how DVD drives work. The lesson also involved watching a video on how DVD drives and disks are made. 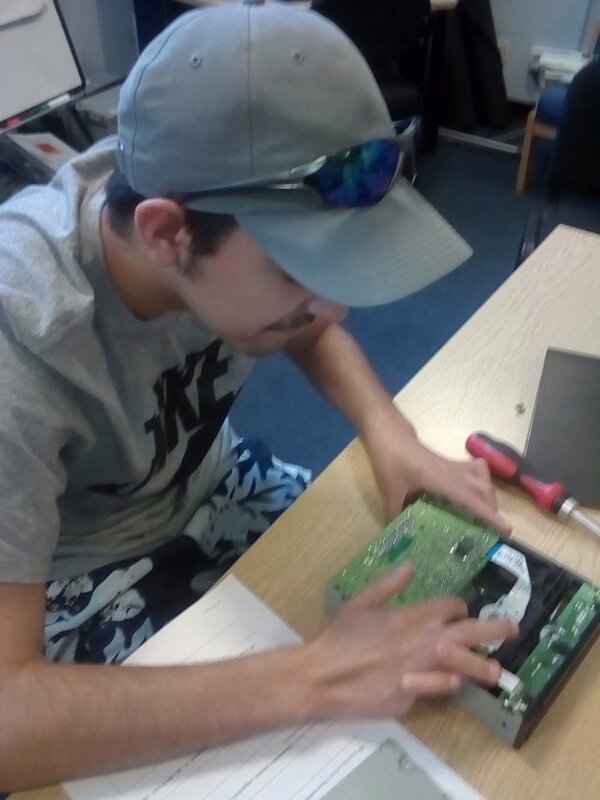 Here are some photographs of the members, examining and taking apart a DVD drive. Moving On With Life & Learning promotes the social inclusion of people with the label of learning disabilities and mental health concerns, enabling self-advocates to build active connections with their local communities and to develop their confidence socially, personally, and professionally.